A few days ago at Vita Brevis, we heard from Andrew Krea on genealogical research running up against natural disasters. The consequent uptick in valuable family information appearing in periodicals and public records, as relatives and associates seek contact with those affected or provide refuge to survivors, provides an unintended boon in documenting extended family groups and far-flung kin. Such events may also supply an explanation to a point of family lore. A natural disaster and a bit of lore in my own family led me to encounter a genealogical project that is worthy of greater attention. Several families in my mother’s ancestry followed the sea at the turn of the twentieth century. While the older generation anchored the families on the East Coast, children and in-laws established themselves in San Francisco. My relatives were not unique in doing this. 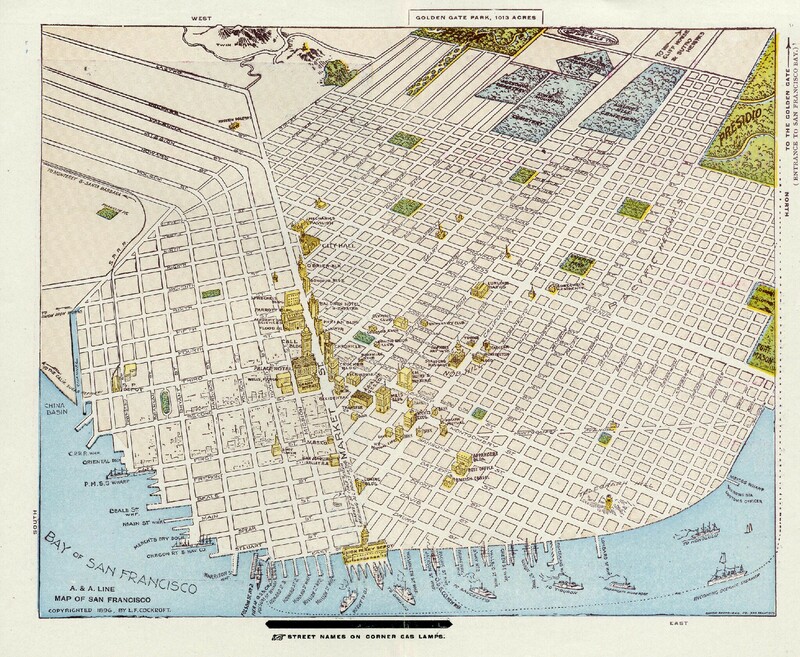 Native-born Americans as well as enterprising immigrant groups engaged in similar behavior, making the San Francisco of 1900 one of America’s most populous and cosmopolitan cities. 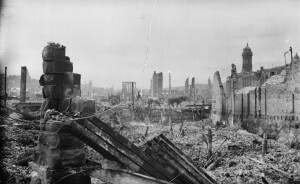 There, in the early morning of 18 April 1906, a great earthquake struck, unrivaled as a U.S. disaster until Hurricane Katrina in 2005; it was followed by fires that burned for days. The memory of a sibling – an aunt, with her family, in the calamity that destroyed three-quarters of San Francisco, was transmitted through four generations of my mother’s family. Lacking a contemporary and conclusive account of the casualties – the city itself released a deliberately reduced estimate to ease repopulation concerns – the anxious advertisements placed by relatives in newspapers for years thereafter make it clear that many questions went unanswered. My mother, a skillful, lifelong family historian, dutifully recorded the independent recollections of several of her most senior relatives in the mid-1970s. As genealogists, we accept such records as family lore. We test them, seeking primary sources on the disaster and correlating the records found with points of information from the oral history. Did our ancestor’s sister and her family live in the disaster area? Could any record of them be found sometime after the earthquake? 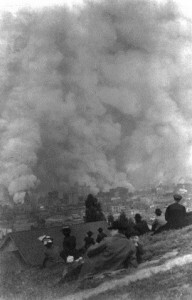 In census records and directories, my mother and I found that she lived by the north side of Nob Hill, right in the heart of the destruction. No trace of her was found after 1905. So, where was some notice, some listing of her demise? 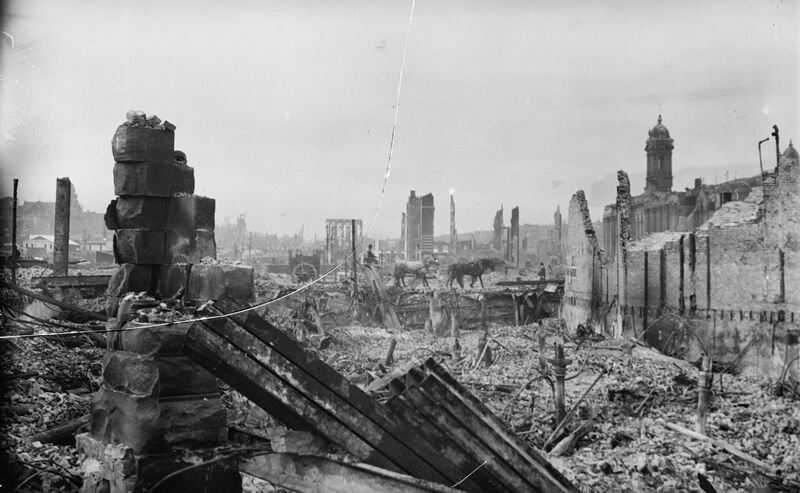 As it happens, we were not the only descendants and family members still seeking to put names and faces to the lives lost in the Great Earthquake and the catastrophic fires that then consumed the city. The Museum of the City of San Francisco maintains a database, a “Great Register” of the names of all those who, research demonstrates, died that day in 1906 and in the terrible year that followed. The museum also leads efforts to collect oral history of the tragedy retained by present-day families and to gather artifacts of the event. The “Great Register” project also has an online presence at The Virtual Museum of the City of San Francisco. 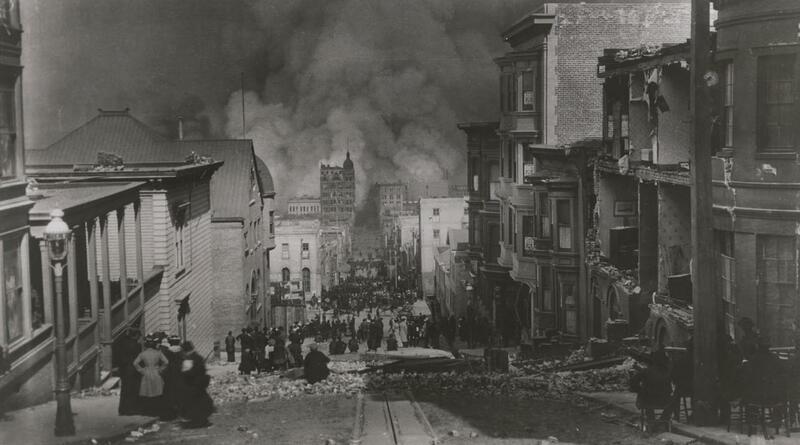 We encourage you to contribute to this important genealogical effort by finding your San Francisco relatives, analyzing how they might have been affected by the cataclysm, and telling the story of our American ancestors and families. Unfortunately, the links above seem to be broken. I would love to research the Museum as my husband and I both had family in San Francisco in 1906. I am in possession of a partial set of flow blue dinnerware that survived the 1906 San Fran earthquake. The dishes came to me from my mother (1920-2014), who received the dishes from a childless older cousin (1896-1981) whom she was named after. I think the museum will benefit more from having this artifact than for me to hand it down in the family, if they want it. Thank you for the information! My Grandfather was in the City the day of the earthquake, he was doing some Missionary work for the Mormon Church out of Salt Lake City, and had been going to school there also. When the earthquake hit, he and his friends immediately started trying to find and help those that were hurt and unwilling move because of the fear that had just been put into their hearts and minds to move out of the locations that were destroyed. I do not know whom he might have saved, but I do understand that he was working for almost 4 days straight to extract those that were alive an dead in the rubble. From one thing that was told to me, it seems that those that were rescuing or retrieving people, many could not take the time to try to get the identities of many because the need was so great that they keep on digging and handing out those that could move, so the imminent deaths could be stopped. The identification process that normally takes place had to be aborted so that those still alive could be reached and helped. Thus, a lot of people were pulled out without any way to give an identification too and, as many were in their homes or other places where they did not have a wallet or any form of ID on them, no identification was possible, especially if none of the people alive could offer any assistance.. The people who were working on the rescues could not take the time to try to put those that were deceased together with a non-present ID. No S. F. ties at all, but Wow! Had not heard of this project. One of those things the Web can more effectively support. Thanks. Also, a good Spotlight item for the Newsletter for the wider Society audience.